Welcome to the Giap Towers, watch that first step. 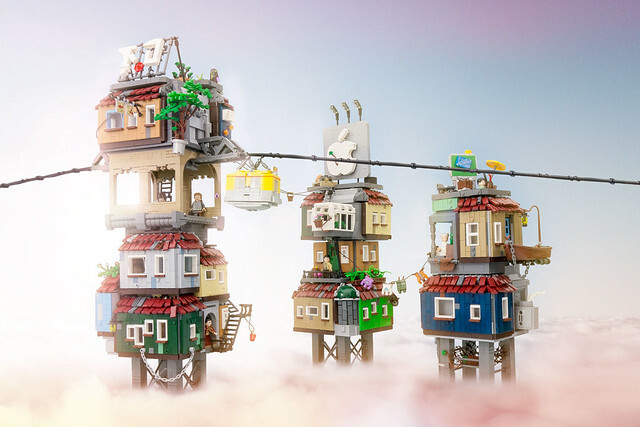 Builder MarcelV was inspired by the whimsical and exceptional art of Chong Fei Giap, for which this wonderful MOC takes it’s name. According to the builder this is the culmination of 10 months of planning, building, rebuilding and photography, and it shows. You can’t rush art, it always dictates it’s own speed, and it’s always worth the wait.